Yes. I am wearing a wedding dress. Yes. I am getting married. September was a busy month. I said the same thing about August. Life becomes busier as months carry on. Dressing myself up, dressing people up but now I'm dressed down. In pyjama pants and an ancient velvet jacket with 'Juicy' scrawled across the back. I vie days like these, when I can breathe for just five minutes. To sit and type, to just relax. Five minutes alone don't last forever. An hour in class does though. Not complaining, just stating. But here is how my September went! Doing | As I usually find myself doing for the past few months. Studying alone in my room at a quarter to midnight, cursing at myself. A Levels are sooner than soon, my pale skin and dead eyes tell me so. I can just feel time ebbing away. Still, I will smile while setting myself ablaze. The fire will burn, and there will be nothing left but ash. Watching | For some reason, I watched American Horror Story: Coven in just three days. I was once an avid fan of American Horror Story: Murder House, and did try watch Coven when it premiered. I stopped, finding it too sexist. My quick review? Still sexist, but I enjoy the horror and gore. I can't deny myself a good bloodfest. Listening | Holy Halsey, where have you been all my life? I've listened to her whole Badlands album on youtube more times than I can remember. Her sound, her lyrics, just her. My favourite song has to be Colors but Ghost is close second. Both perfect examples of musical poetry. Loving | Notice anything different? I got a new header and favicon! Among other things but those are the most significant, noticeable changes. I love it so much, a simple but effective header. Mangoblogshop helped design them since my artistic skills leaves much to be desired. I can't thank her enough! Making | Fake blood and guts. Read below to see why. Planning | It's going to be October which means it's going to be Halloween! Which means a whole month of fear! I'm screaming my skull off. It's my favourite holiday that I don't celebrate. I'm a huge gore fan. The hilarious Human Centipede made me laugh to the dismay of disgusted friends. So this October is when I focus on my SFX skills. Watch out for those posts on bloglovin here! Reading | I hate the fact I haven't picked up a good novel in weeks. Any text I've read lately are school books, rarely I might add. A website, Racist Beauty Bloggers did catch my eye this month. It highlights racism, cultural appropriation and issues in the community. A fascinating read, even if they can get a little mean. It helps and encourages us educate ourselves in different cultures. To an extent. Oh, you exhaust me. Wake me up when September ends. If you read through my last few posts from the Currently series, you'll see how repetitive and boring I am. Always chattering about school, work and some joke called life. Don't worry though! I'm here to assure you, that this pattern won't break. It will remain as it has always remained. Allow me to scream into my pillow. I do have exciting plans for October! I'll be doing things I haven't done in a long time. I'll be doing things I've never done. If you love Halloween like me, or just like this blog, do follow me on bloglovin to find out! Lovely post as always! Oh my gosh you look so amazing in the wedding dress! Why are you wearing it?! It's such a beautiful photo! I love your new header! Also, the blog you recommended is great- I'm scrolling through it and it's raising a lot of important issues. That dress is so stunning, you look gorgeous! Loving the new header and the favicon is ADORBS. Okay, where can I sign up to look like you in a dress?? Ooooft, love a bit of Halsey. Well you would make a beautiful bride! What a gorgeous dress! I remember that Benefit debacle. Thanks for the website. I love Halloween also. Can't wait to see what you have in store. I am so excited for your SFX looks! Will be waiting! Great thoughts indeed, greetings to you! that dress is lovely, you'd make a great bride! Who says you have to get married to wear a wedding dress? You look beautiful! And it sounds like you've had a fun September! What a busy month! I've only seen AHS: Freakshow, but haven't seen the others. Looking forward to the new season starting soon. Good luck with your studies! I love doing the currently posts but I always forget to do them lololol. Horrah to the fake bloods and guts, lol. Can we please stop and talk about that photo Miss Princess Bash?!?! You just got to give your best at A levels and know whatever happens it's ok! Loving the new header too! The dress is stunning, a gorgeous look for sure. Oh Bash I know the feeling. I feel like I'm drowning in work, and each time I swim to the surface more water appears, heavier than before. I wish we were in the same time zones, then we could keep one another company at quarter to midnight. I know you think it's never-ending but it will do, and when it does you can spend as many days as you want in that juicy jumper. That's the type of wedding dress I want for my wedding, which will be in 18 months from now. Oh, and thanks for posting that racist beauty bloggers page! As an ethnic minority, I find it really hard to relate to youtube stars/bloggers/celebrities because of the media still feeling that beauty=fair skin. I've been stupid busy these last two weeks and I fear it's just going to get worst! I might need October to hurry up then. I can't wait for halloween either!! I have no idea what I'm going to be this year but I want to be something scary for sure. I'm usually something girly but not this year! Blood and guts and contact lenses! You looked beautiful in that wedding dress! September has definitely been crazy! The introduction alone made me chuckle so much, I love the way you write Bash, so fun. Love the blog header, looks so fab! I love your NEW header and wait! Is that you in the wedding but you're not getting married?! :) Either way I love the pic - stunning! Your new header has a fresh and fun graphic feel. You had me going for a second there. You will no doubt make a gorgeous bride when you get married for real Bash! P.S. Good luck with your A-Levels. Lovely post! Gorgeous wedding dress ! Oh I love that you included that racist beauty bloggers page. Yes, just yes. I scanned through it, and while they are big on delivering heavy doses of sarcasm, they're getting it right. I have some issues with blogging & diversity (girl don't get me started on Bloglovin's fail at diversity), and it's cool to see them make a site of it & you for sharing it. I also like Halloween. I love to see children and adults in their costumes. Have a great day! Thank you for dropping by on my blog Bash, and for leaving an eye wakening comment :) i totally appreciate it, especially from people I don't know. I love your dress you look really pretty.. And oh, my September isn't really great, i think I'll be posting on my blog today how my September went. 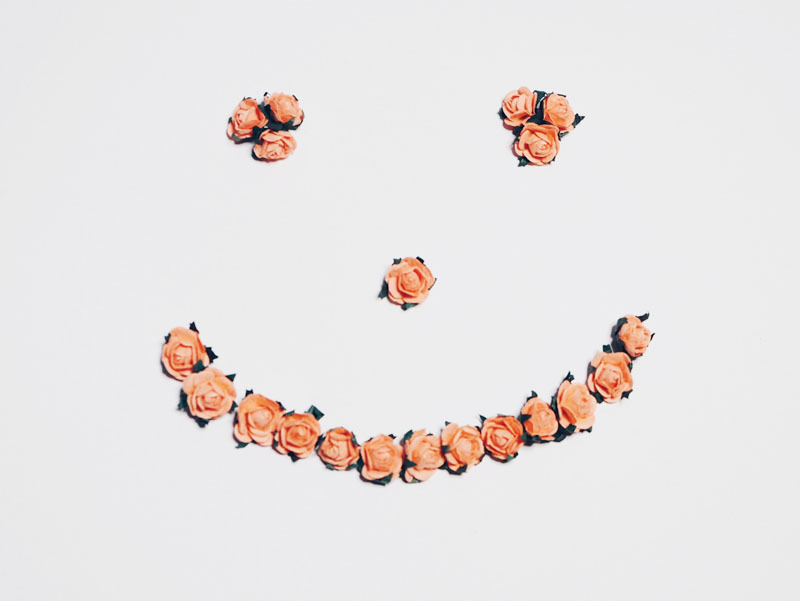 :) Following you on bloglovin' now. I love zombies, I love horror but gory movies like the Human Centipedes makes me sick to my stomach. LOL! And damn it girl, you trying to give your readers a heart attack with that wedding gown picture? I saw it and instantly thought seriously?! Sooooo young! Haha! Can I just say-- that picture is amazing! You look so gorgeous in the dress (even though you're not getting married) and that couch.. IT IS TO DIE FOR! I love it! you are too funny :) thanks for your update. Love your currently posts! And btw I freaked out a little when I saw you in the dress! I was like WHAT, I got super excited for you until I read further! Lol you look stunning though! Lying or not. You make a beautiful bride. i'm so confused! why are you in that beautiful wedding dress? 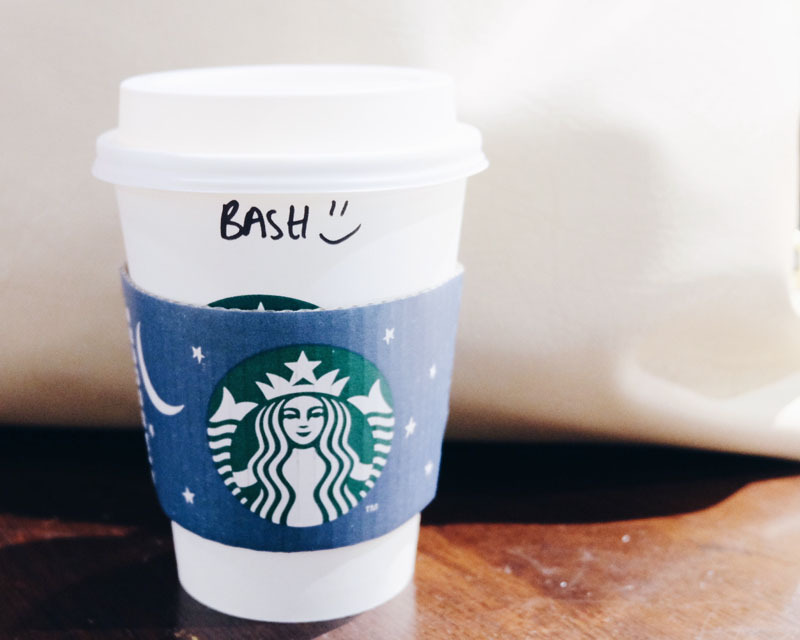 hehe and how is it that your starbucks cup sleeve is so cute bash? I'm going to have to check out that tumblr page. I see so much on my accounts and I always want to say something.. I think I'll share some of those posts instead. Oh wow, that raciest beauty blogger site is quite the read. How interesting. Such a fun post! I am a total AHS addict - are you so excited for the premier next week? OMG amazing I just want to hug you, and that purple chair makes it perfect love! Loved this post - it's always great to read what bloggers have been up to. That first photo is stunning. Is there a reason why you were wearing a wedding dress? Oh and that racist beauty blogger site sounds so interesting and also anger provoking. Will definitely check it out as conversations about race are very important to me. Thank you for the link. The racist bb is an interesting thing. Yes our races can get culturally eschewed by those who don't understand, but I don't personally take offense unless someone is attacking me. Most times it is due to naivete than pure hatred. You may not be getting married but you look amazing! The dress is beautiful! I am loving the new header - I might check her out because I am in desperate need of one! That wedding dress is gorgeous! You look beautiful! Lots of courage with your A-levels! Hope you'll be able to let your hair down after that :) That wedding dress looks amazing, btw.